Sober, almost modest is the Bega 77265/77266 LED bollard light. A slim, rectangular monolith with a rectangular recess in the upper half of the corpus stretches towards the sky. Its smooth surface made of high-quality and carefully processed materials impress the viewer with its plain elegance. The 77265/77266 from Bega is a German quality product that puts emphasis on durability and a long service life. The garden light from Bega is available in different versions. It may be obtained with a graphite or a silver surface finish. 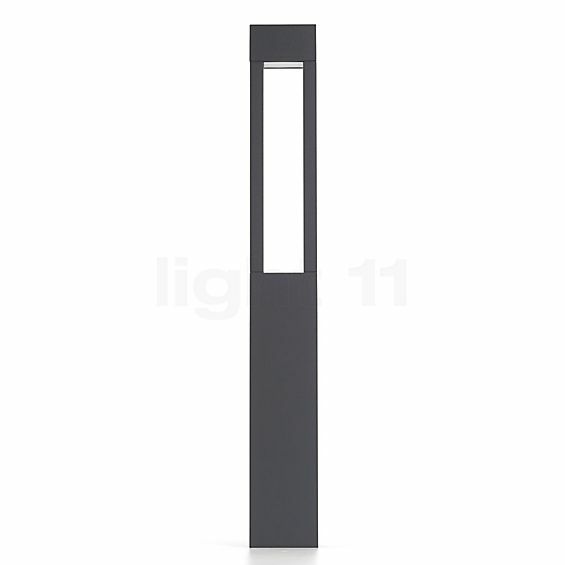 The edgy design dominates the functional look of this bollard light. Thanks to the clear safety glass, the light is emitted downwards. 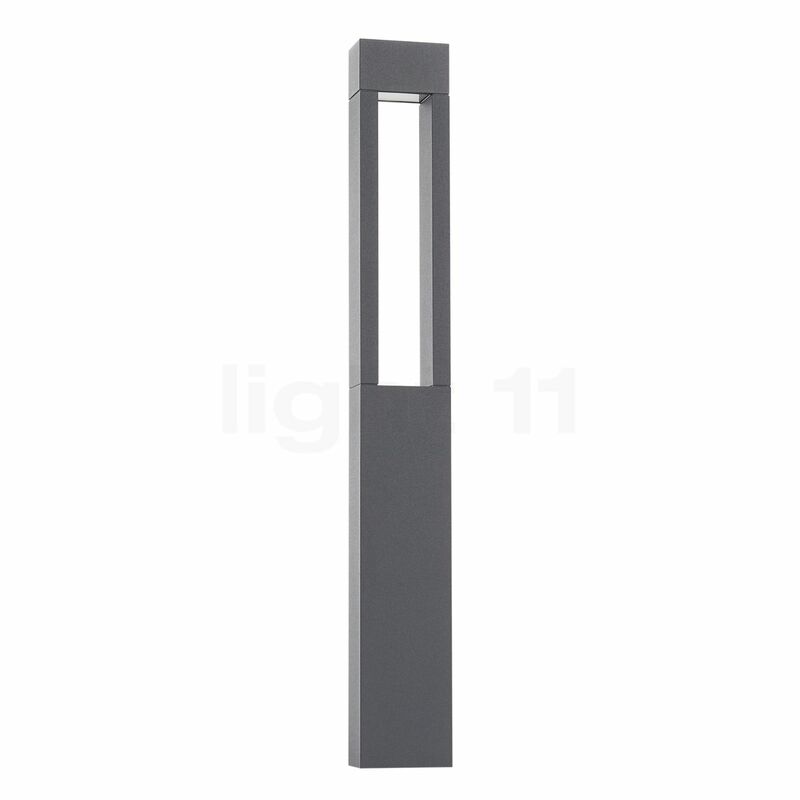 The Bega 77265/77266 bollard light emits its light on both sides of its body and thereby creates an atmospheric illumination in its environment. At the same time, it creates an aesthetically appealing play of light and shadow. The LED module integrated at the upper end emits a clear light cone onto the floor, while the body of the garden light casts a sharp shadow. The 77265/77266 bollard light from Bega is equipped with cutting-edge LED lamps which make it a real energy saver. With a power input of only 4.2 W the garden light produces a luminous flux of 560 lumens. In comparison to that a 40 W incandescent lamp achieves a lower output. The light of the Bega 77265/77266 bollard light is warm-white and has a colour temperature of 3,000 Kelvin which promotes a pleasant atmosphere. Moreover, the Bega 77265/77266 is designed in accordance with protection type IP65. This means that it is protected against dust as well as against water jets coming from any direction. You may choose the type of installation: you can either install the 77265/77266 bollard light by means of an earth spike that you set in concrete or by using a screw-on base for mounting on foundations. Tell other customers and us about your experiences with the 77265/77266 - bollard light LED ! The Bega 77265/77266 bollard light is particularly well suited for use in the garden or for illuminating the driveway. In both cases, it ensures improved orientation and thereby also more safety in outdoors areas.